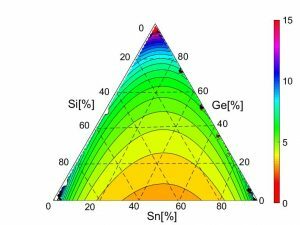 Being a good thermoelectric material is a balancing act between high electrical conductivity σ and low thermal conductivity κ, because both quantities depend directly on the flow of electrons. Fortunately, κ also depends on lattice phonons, so this contribution can be cut—for example, by scattering from randomly distributed heavy atoms. 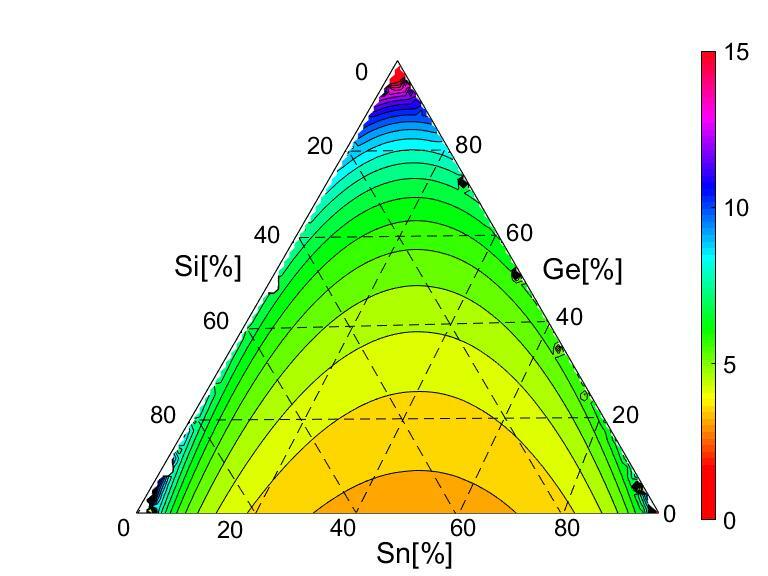 The authors’ calculations show that adding tin to alloys of silicon and germanium should yield quite good thermoelectrics, especially in thin-film systems.